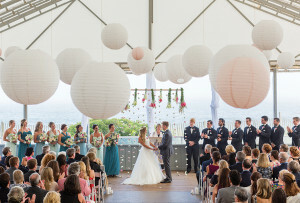 Whether you fancy a sophisticated ballroom fete or a sky-high rooftop soiree, a cosmopolitan wedding is within reach at the city’s freshest venues. By Kara Baskin·	 6/21/2016, 3:26 a.m.
With so much planning leading up to the big day, you don’t need to stress about location. 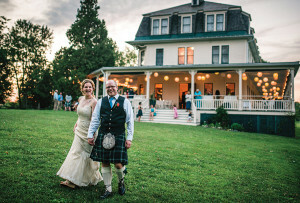 That’s why Mindy Home, creative events director at AE Events, loves city celebrations—in particular ones where you can eat, sleep, and say “I do” all in one place. 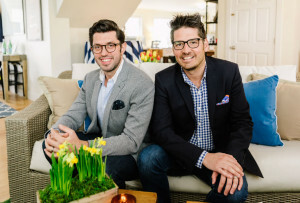 “Boston couples are favoring hotel weddings because they don’t want to deal with the minutiae of planning,” Home says. 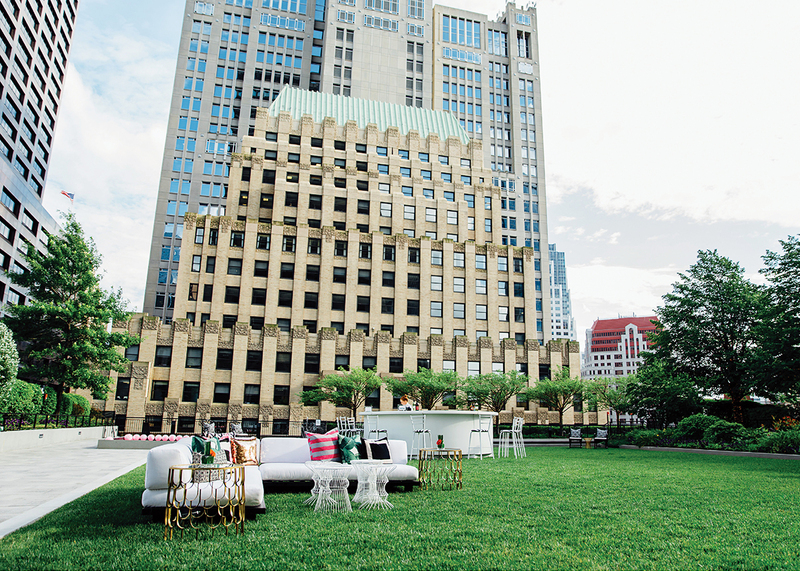 “They want to make fewer decisions in a shorter period of time and know they can count on their staff.” No hotel venue better exemplifies this all-in-one philosophy than the Boston Park Plaza. 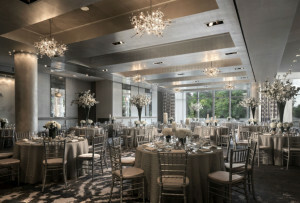 Fresh off a remodel, the charcoal-and-ivory Grand Ballroom features dramatic chandeliers, photo-ready balconies, and an elevated stage for musicians. As for the rehearsal dinner? The swanky Strip by Strega steakhouse is right on-site. Couples who prefer downtown cool over hotel convenience should consider taking the plunge at 9OFS, an industrial-chic venue set among the Financial District’s skyscrapers. Opened in 2012, the event space wows guests with a lush rooftop terrace and reflecting pool outside and dramatic oversize windows inside. If breathtaking vistas are a priority, it doesn’t get any better than the recently relocated University of Massachusetts Club. 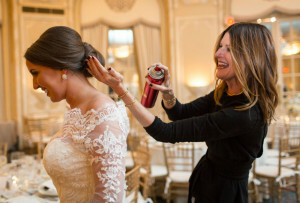 Perched on the 32nd floor of One Beacon Street, the glass-walled reception space offers skyline panoramas and a 14-seat bar directly overlooking the Zakim Bridge. Now that’s a room with a view. At Malden’s Boda Borg, teams compete in a series of “quests,” real-life physical and mental challenges ranging from quiz shows to rock climbing. Bonus: An on-site taco bar will keep your pals’ energy levels up. 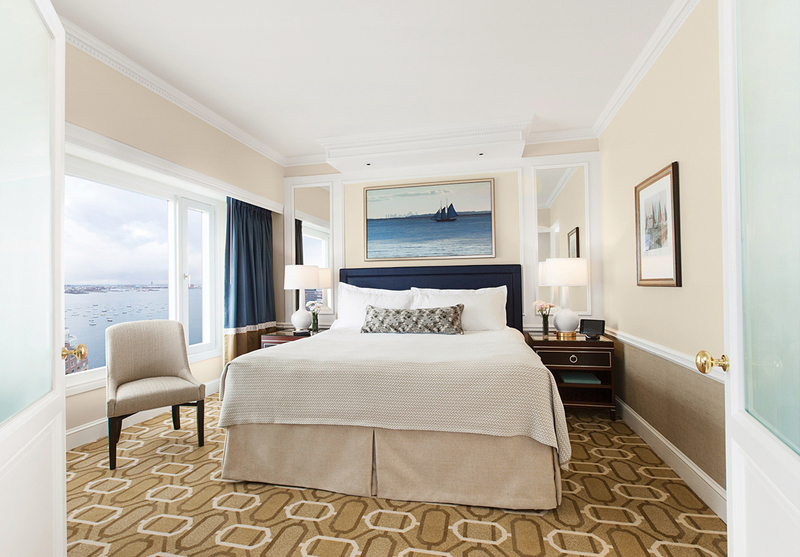 The Boston Harbor Hotel’s freshly renovated rooms, many with water views, ensure a picturesque stay. Hungry and thirsty revelers will appreciate the wine-centric on-site restaurant, Meritage, which recently underwent a massive makeover that brought an expanded wine bar and enhanced harbor vistas. A cocktail-slinging Airstream trailer—on a roof deck? 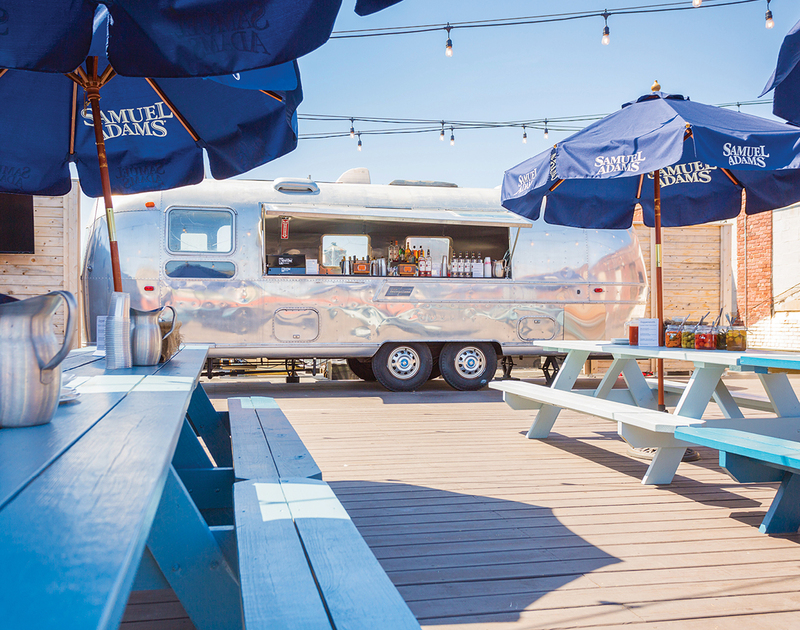 It’s a reality at Southie’s recently opened Coppersmith, where you can host a pig roast, a clambake, or anything else you desire. 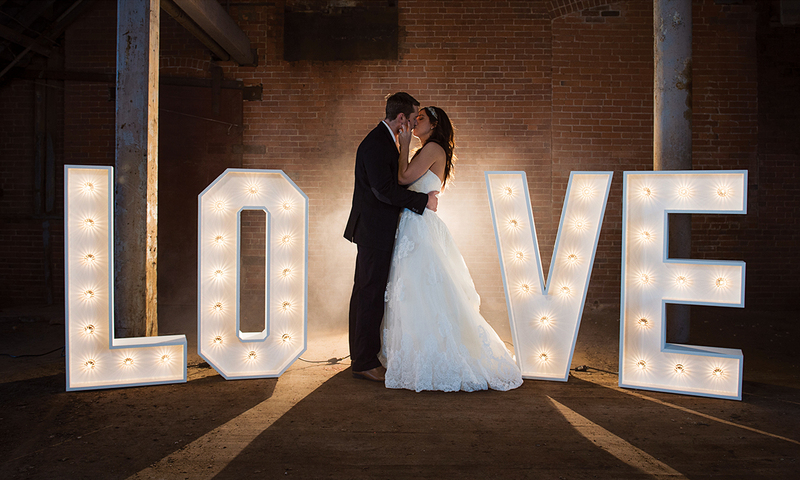 Immortalize your romance, Broadway style with help from Your Love in Lights, a marquee-letter-light rental service. The 4-foot-tall lights spell out whatever you’d like—Love, Dance, Party—in a variety of hues. Show your besties some love with monogrammed keepsake jewelry boxes from the brand-new Fête Collection, a special-occasion boutique that focuses on personalized tokens. 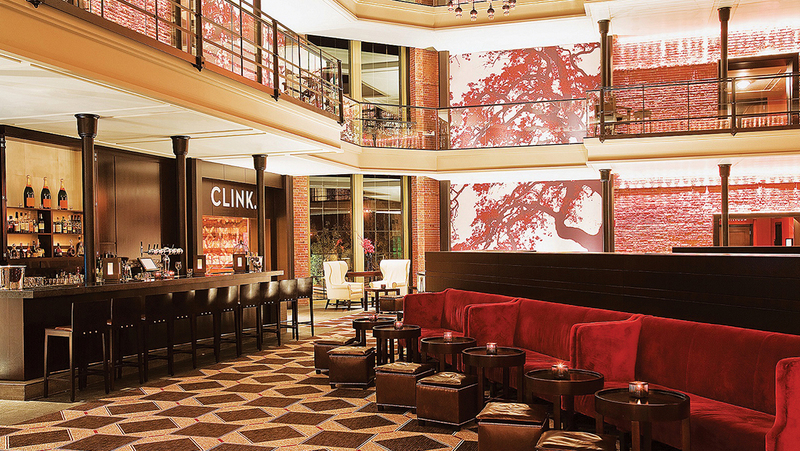 It used to be a jail (ball-and-chain puns not intended), but now the Liberty Hotel is a sumptuous spot to unwind after tying the knot. Spring for the Guilty Pleasures package, which comes with sparkling wine, chocolate-dipped berries, and breakfast for two. Missing your bouquet already? 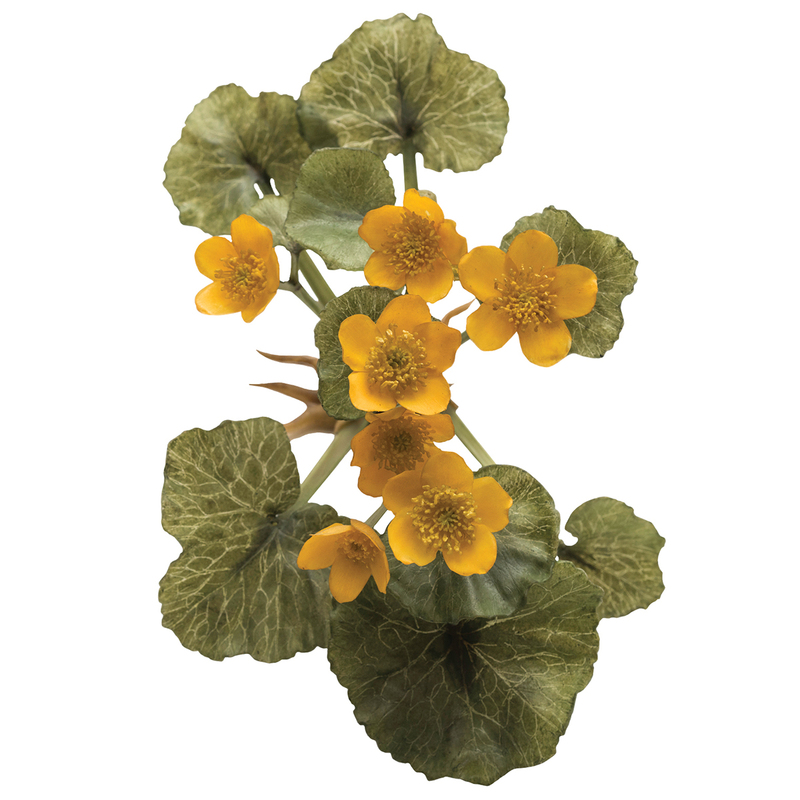 Wax nostalgic at the Harvard Museum of Natural History, where the newly reopened “Glass Flowers” gallery showcases more than 4,000 handcrafted botanical models, the only such display in the world. 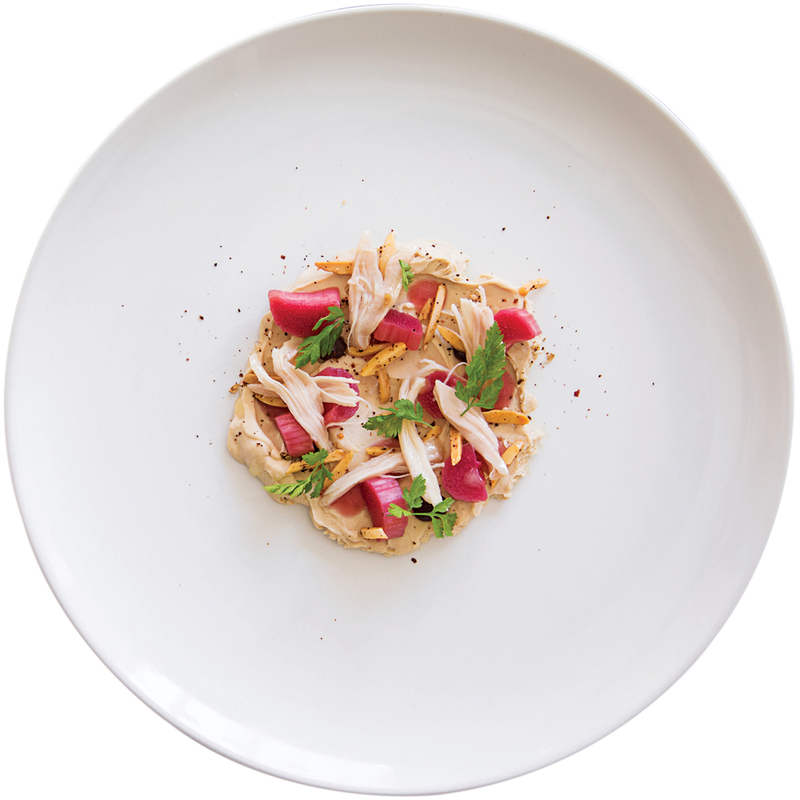 Cap off the weekend with a romantic dinner at the Table, where Top Chef contestant Carl Dooley turns out French- influenced, four-course prix-fixe meals. Book early: The 20-seat hideaway fills up fast.